The area's wineries and museums are just a few of the reasons to vacation in Jordan. Travelers like the parks, spas and gardens in this romantic and trendy city. Horseshoe Falls and Bridal Veil Falls are just a couple of the must-sees in the area. 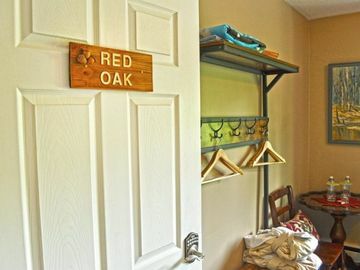 With a vacation rental, you get a home away from home—many rentals offer full kitchens and outdoor grills for some home cooking. The nearest airport is in Niagara Falls, NY (IAG-Niagara Falls Intl. ), located 21.8 mi (35.1 km) from the city center. If you're unable to find a flight that fits your schedule, you could also fly into Hamilton, ON (YHM-John C. Munro Hamilton Intl. ), which is 28 mi (45 km) away. Can I rent Bed & breakfasts in Jordan? Can I find a holiday accommodation with pool in Jordan? Yes, you can select your preferred holiday accommodation with pool among our 3 holiday homes with pool available in Jordan. Please use our search bar to access the selection of holiday rentals available.